AKC Registered ~ Outstanding Puppies! 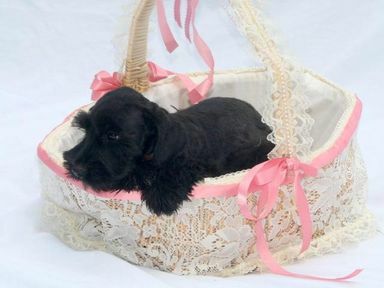 We have a selection of puppies in various AKC approved colors . 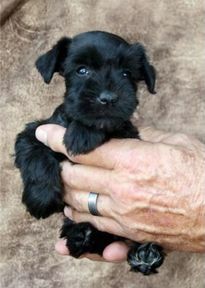 AKC approved colors are Salt & Pepper, Black & Silver, Blacks, and Whites. Please call us for current availabilities. $675. - $1150. based on color and gender. We have outdoor exercise areas for our puppies and adults. 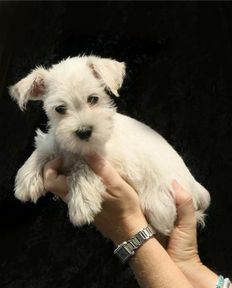 Our puppies are raised with love and care and are handled daily to achieve peak socialization. They come to you with current shots & worming, are vet checked and have a 5 year health guarantee. 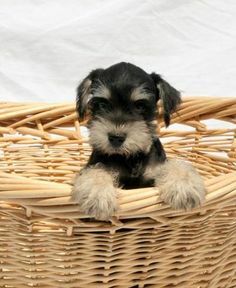 Miniature Schnauzers are non-shedding and non-allergenic dogs, that make wonderful pets. 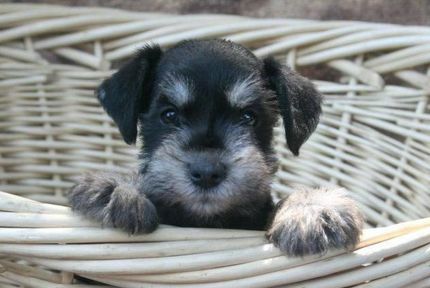 Schnauzers are rated Best for all-around family companions and rated Most Social breed. Great with children! 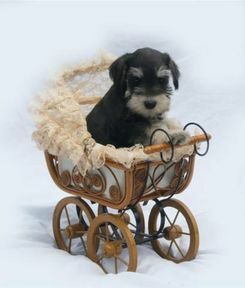 I have been a breeder of Schnauzers and only Schnauzers for more than 15 years, and have dozens of references. In addition to our puppies, we currently have an adult re-homing program available (please, non-breeders only). 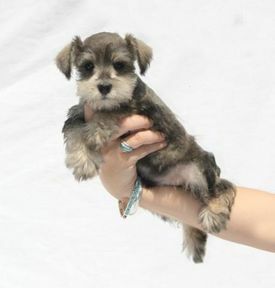 These will consist of retired breeders and/or rehomed animals from other rescue facilities. All adults come with minimal health guarantee. Contact me for more specific information on these great dogs. Shipping / delivery available. Please ask us for details. Our family farm is located in Cross Plains, Tennessee outside of Nashville. But we're not all that far from Kentucky - Indiana - Virginia and many of the southern states. 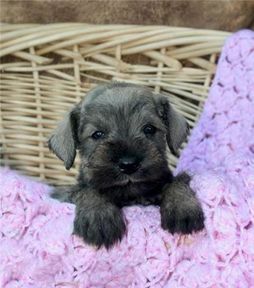 Please visit our website, TLCSchnauzers.com to see more wonderful dogs that we have available.